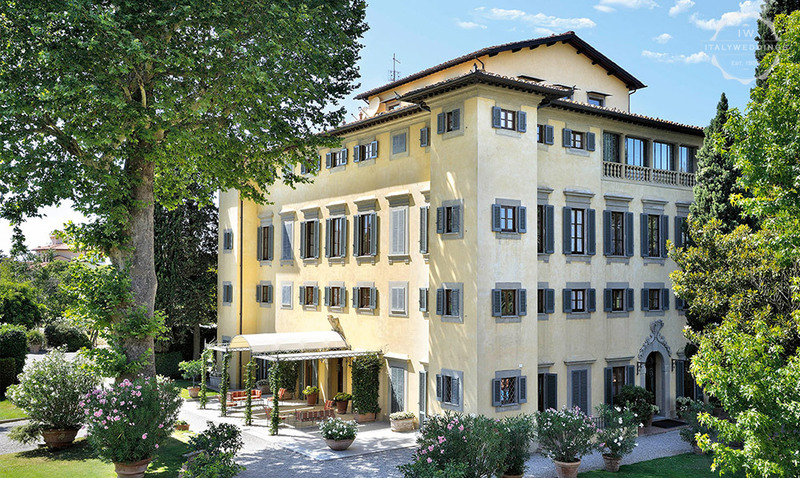 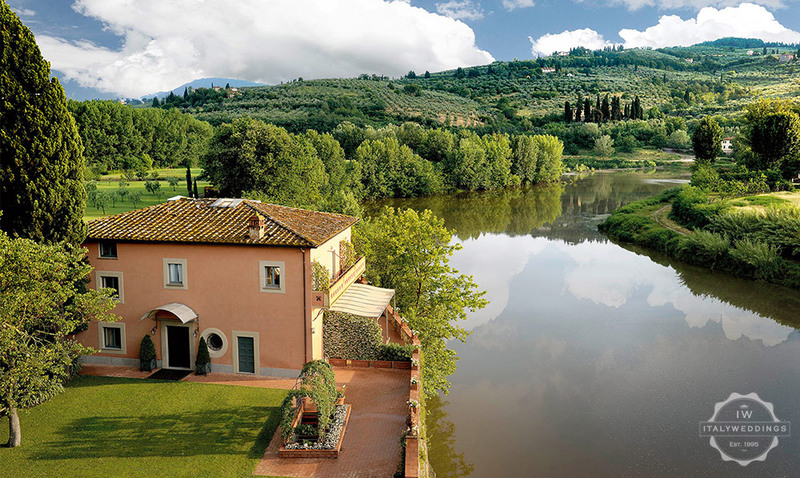 This splendid hotel – a 16th century villa – with its riverside location on the banks of the Arno river, just a few miles from the center of the city of Florence, offers all the ingredients for an idyllic stay in Italy, and an unforgettable wedding reception.The hotel, winner of many top internation awards and recognitions, is of the highest standards, and the staff and services and second to none. 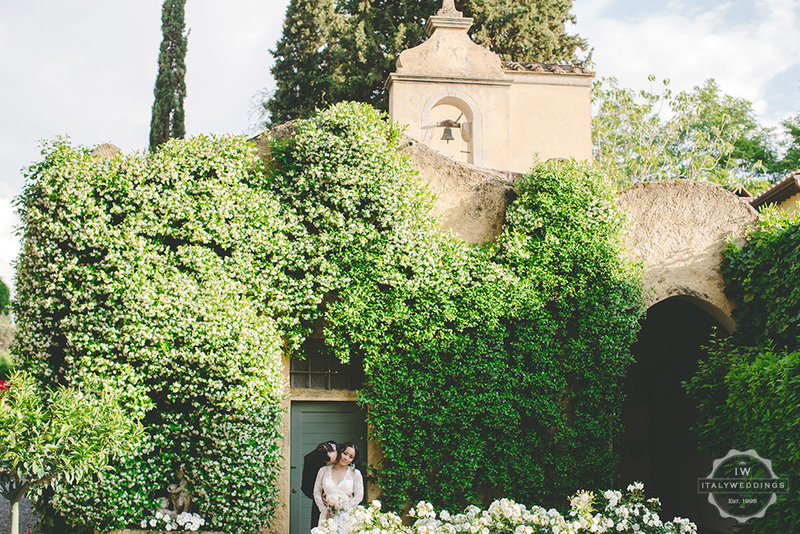 For the wedding reception, the cuisine, style and care taken make for an event that will be elegant, romantic, stylish, and unforgettable for you and your guests. 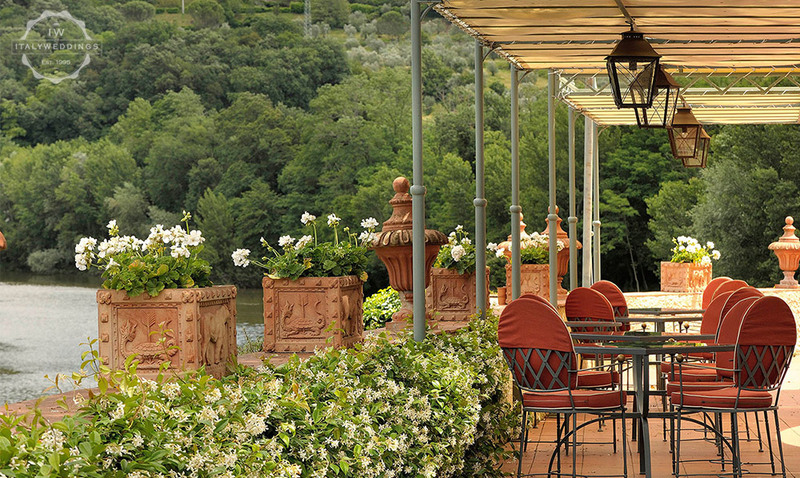 The facilities and spaces for a wedding recemption are numerous, and will be used according to your needs, and th size of the wedding party – from the riverside terrace area, typically used for the aperitifs, the lawns and small chapel, which can be used for a blessing ceremony, the terrace restaurant: ideal for smaller events, and the internal banqueting halls, offering total privacy, and spaces for music and dancing into the night. 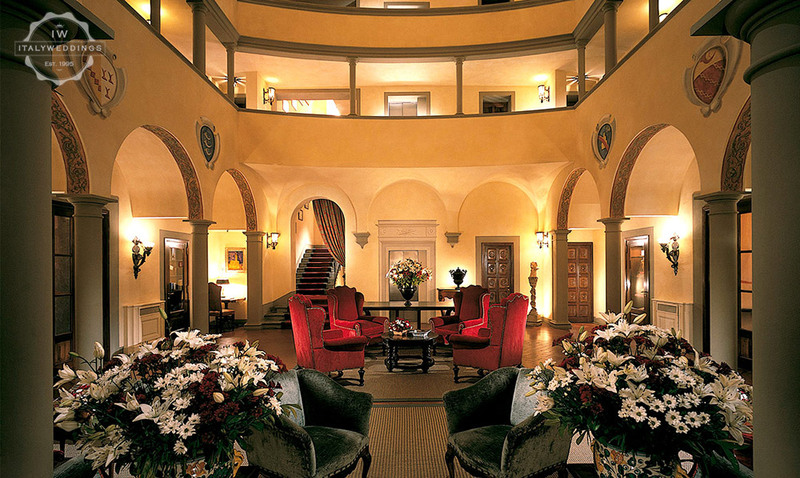 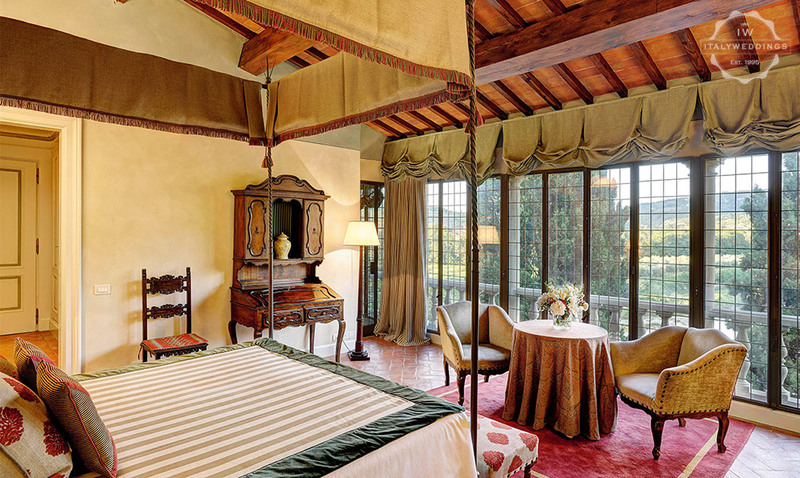 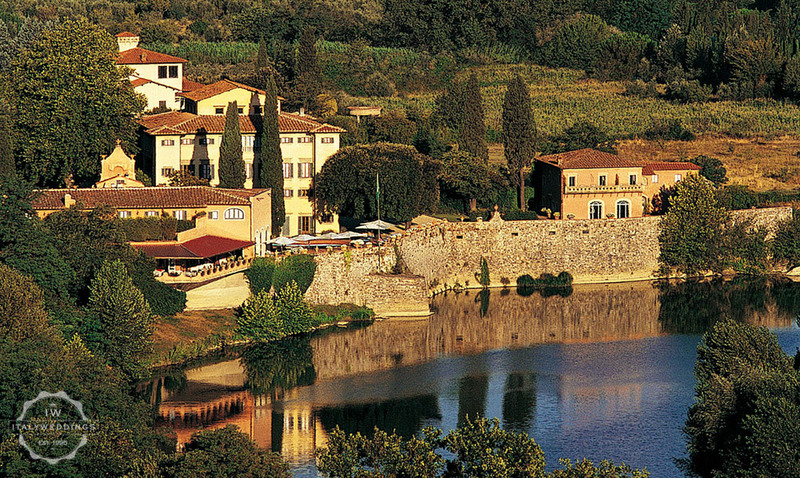 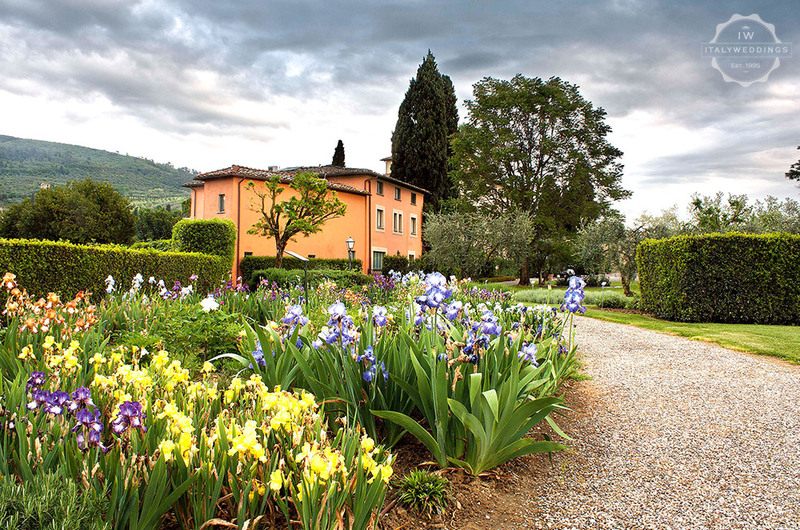 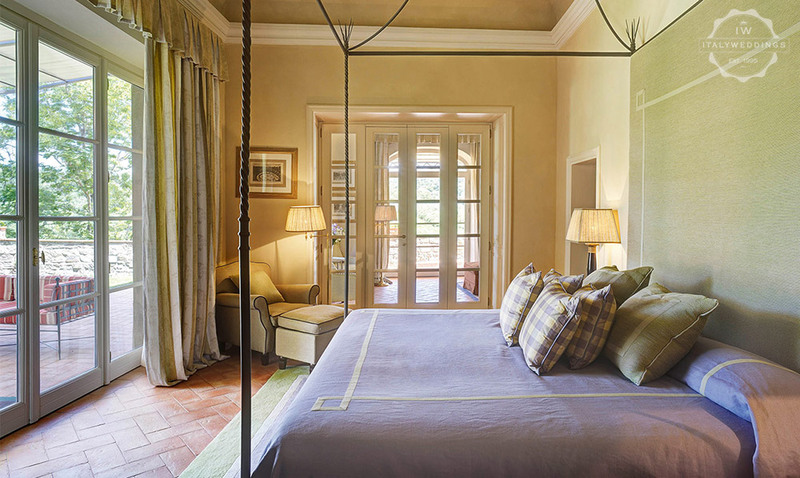 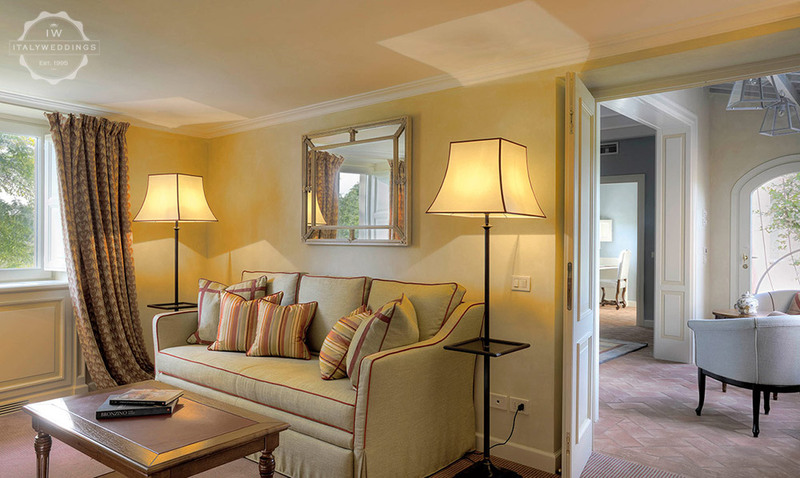 This is the place for lovers of Italy and its flamboyant Renaissance: just a stone’s throw from the center of Florence, but right in the heart of the Tuscan countryside, with XVIIth century period furniture, refined decoration, inspired Tuscany cuisine, and a superb cellar. 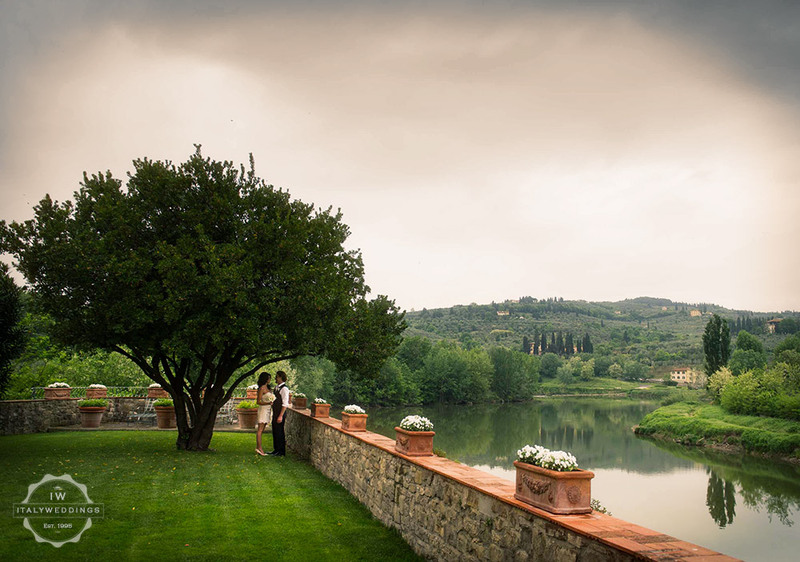 The rooms and suites in the hotel itself make for the ideal setting for all or some of your wedding guests to stay, both on the night of the wedding, and also for the wedding party to prepare for the event, or for a longer stay in the heart of Tuscany.